Dark Red Hair Ideas is for a woman that wants to wear a redhead look without giving her hair a shade that is too bright. Most ladies will use it to color their black and brunette strands, but it also works well for others like blonde and light brown. 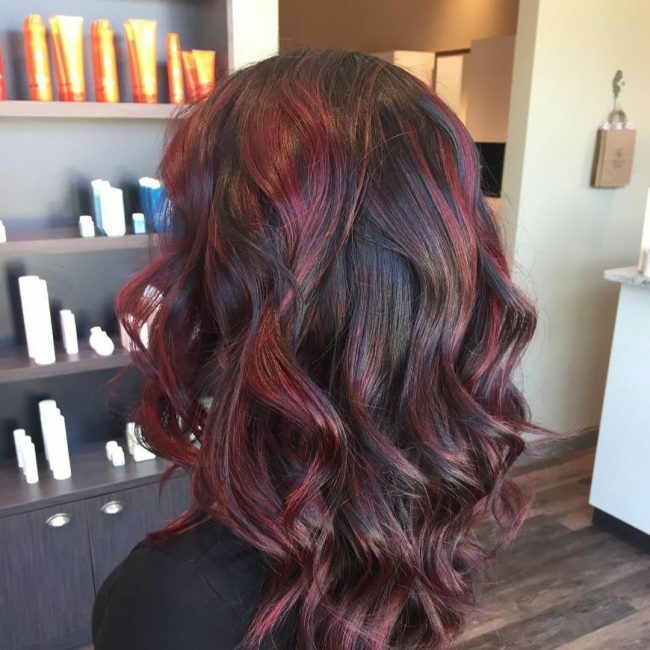 And contrary to what most might assume there are many shades that you can use to achieve this color design and the gallery below proves this.50+ Dark Red Hair Ideas for Modern Ladies. The first thing that you need for this look is the haircut which is about giving the straight and smooth strands a trim to create a blunt fringe. 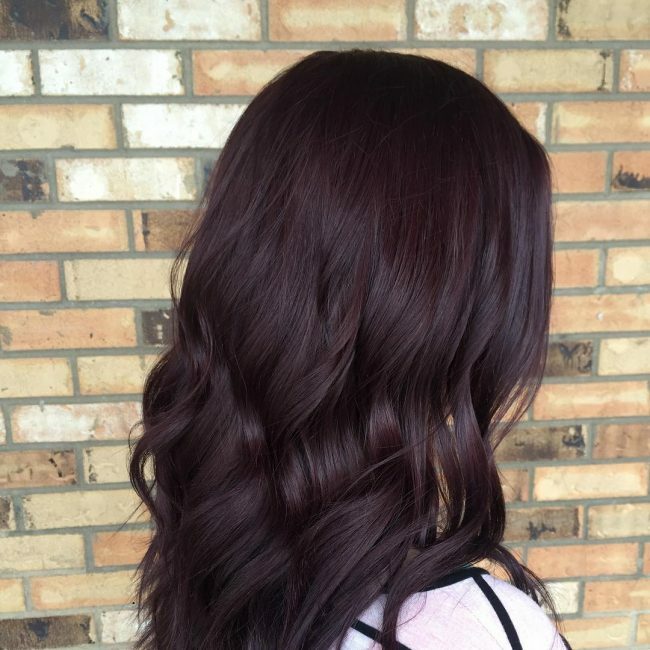 You should them melt the natural black shade with burgundy to create a perfect fall hair color. 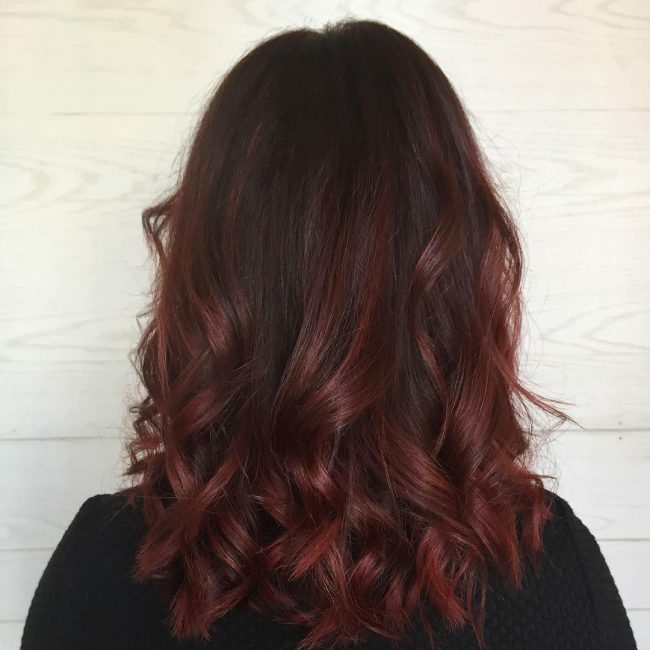 This hairdo is a blend between red and maroon hues but the creative application which entails keeping the ends bright for a blended effect is what makes it look distinct. 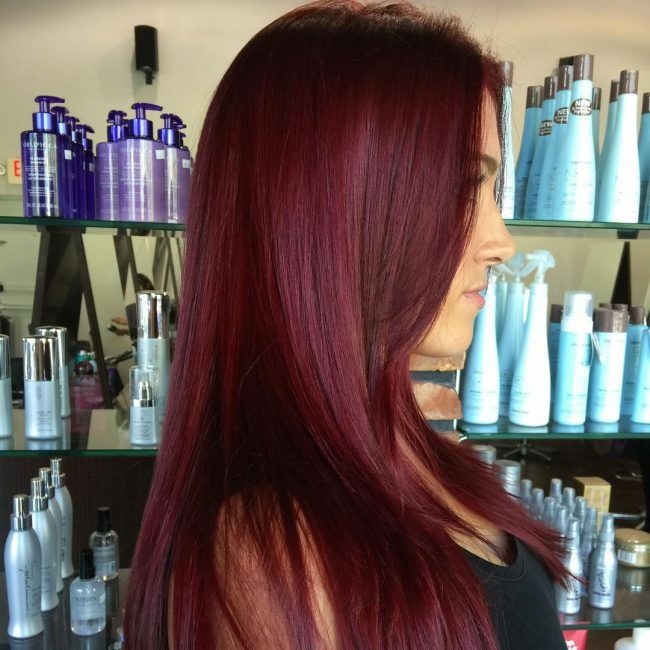 A perfect blend of shade like this one that keeps the tone consistent through the locks is an excellent idea for your dark red hair. 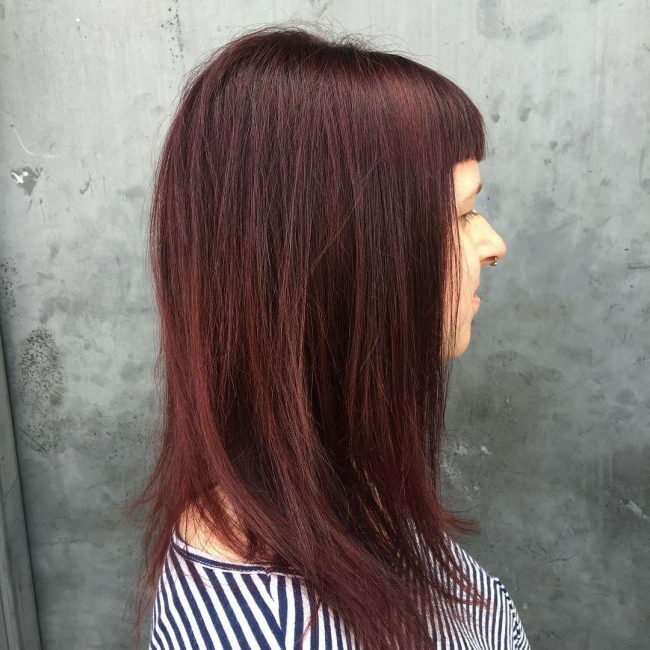 Here the color deign is about mixing light burgundy and wine shades to create an outstanding overall tone. 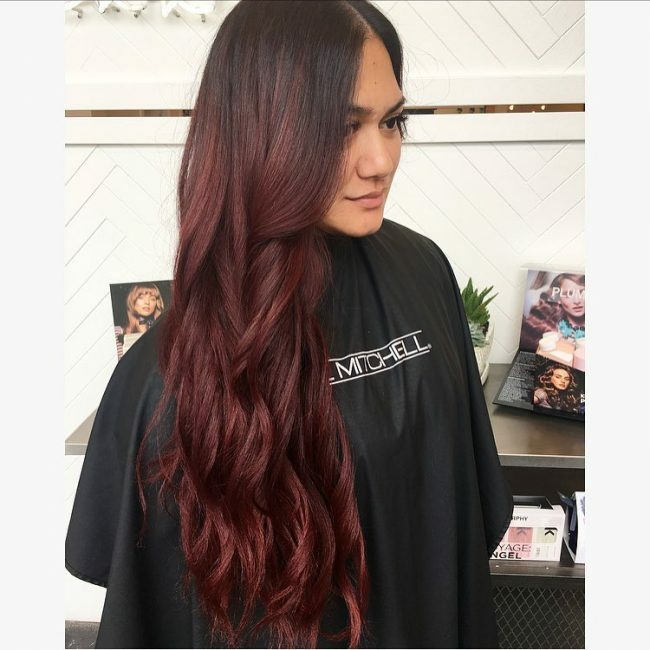 Although these strands have a uniform ruby hue throughout, the lady gives them a stylish overall appearance by using balayage to shadow the roots to create an adorable ombre contrast. 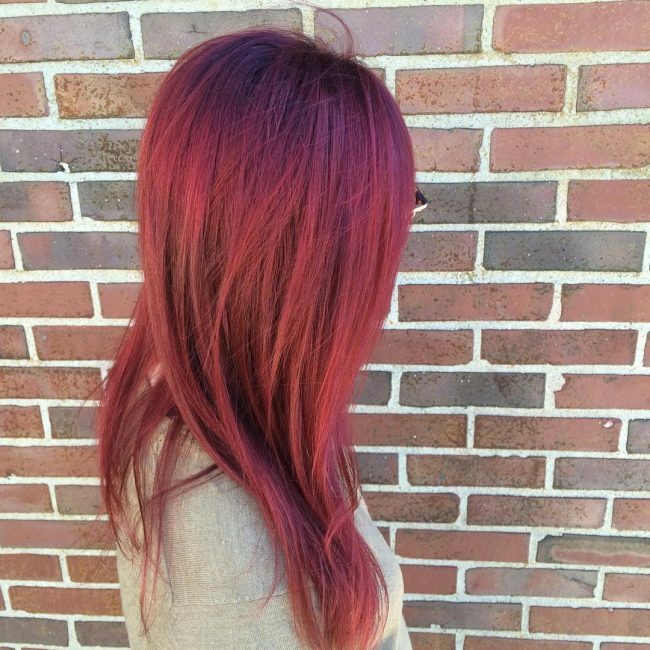 For a look like this one, you will need to mix different shades of red while keeping the dark red and ruby dominant. You should also maintain the tone uniform throughout the spirals to give them a natural redhead appearance. This hairstyle entails giving the locks a long bob haircut and maintaining some subtle waves on the ends. 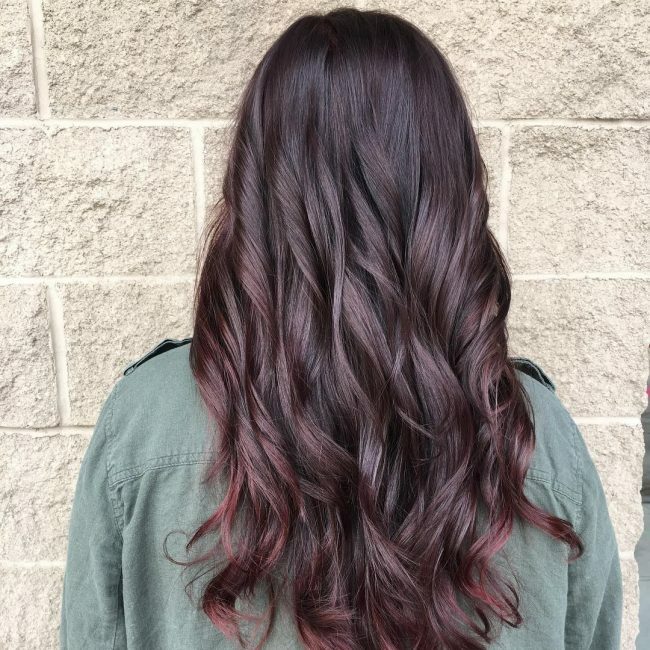 The coloring is about painting them with a dark burgundy shade while keeping a natural black hue at the top to bring out the ombre effect. 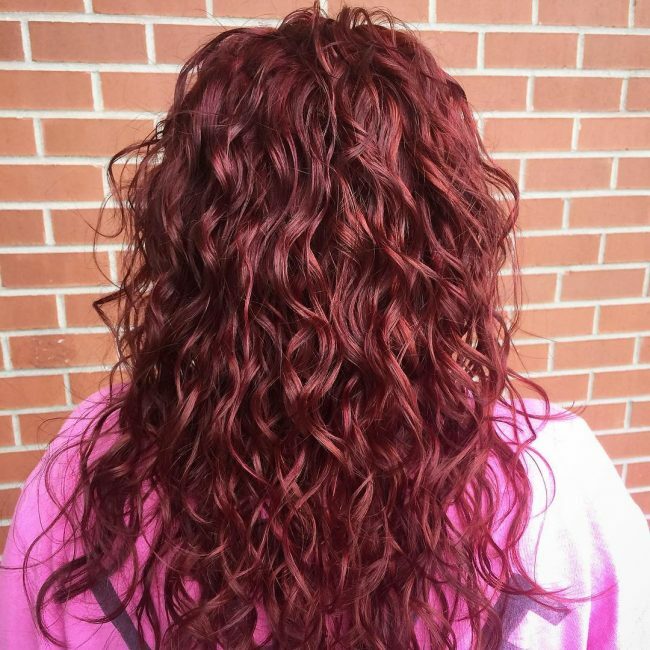 These shoulder length tresses come in a medium volume and with some textured curls. 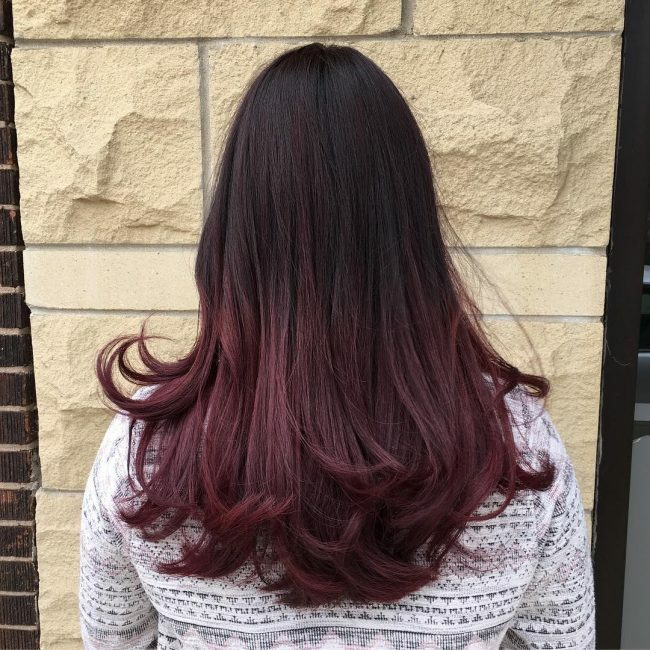 Their inspiring color is a dark cherry which you can achieve by freehand painting the hair. 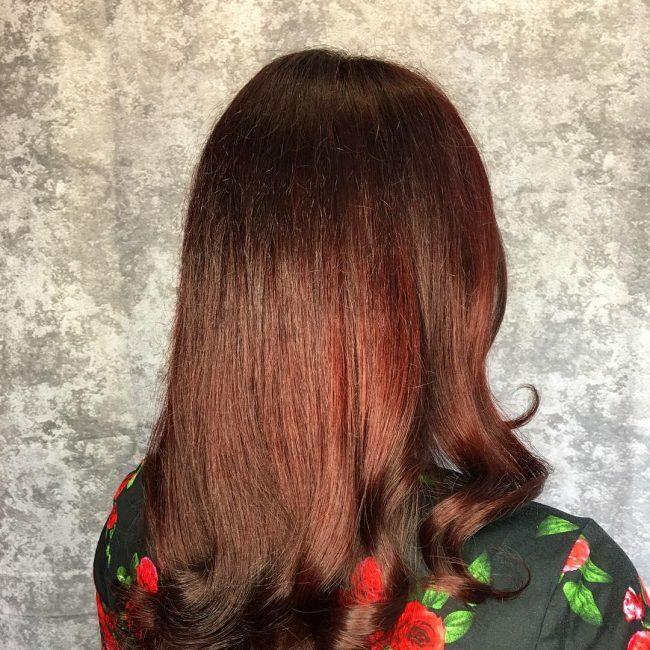 This dark red hair is about using balayage to paint the long waves and giving them a hint of violet to brighten and spice up the winter headdress. 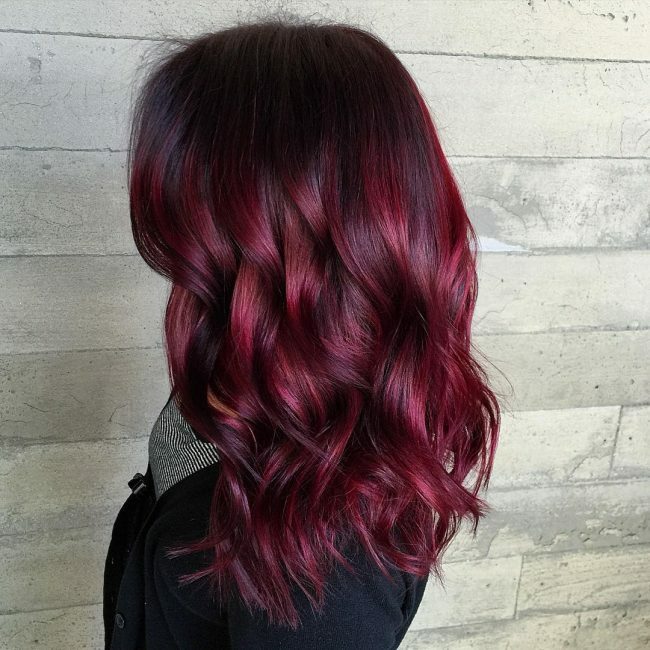 You cannot have enough of burgundy as it is one of those shades that always seem to breathe some life to your locks. In this headdress, it is the dominant tone on the long and textured locks, and the lady keeps the roots in a black shade to create a beautiful contrast. 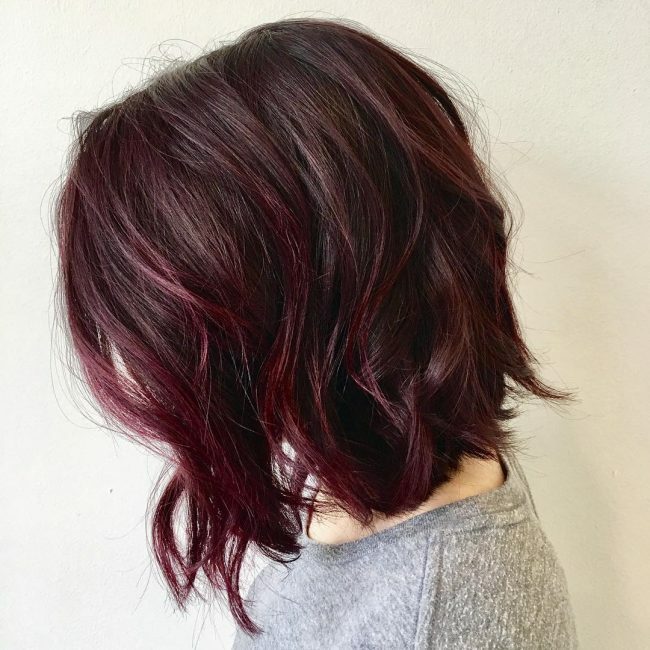 A textured long bob like this one that also has some subtle waves is perfect when you want to wear a beautiful shade of red. 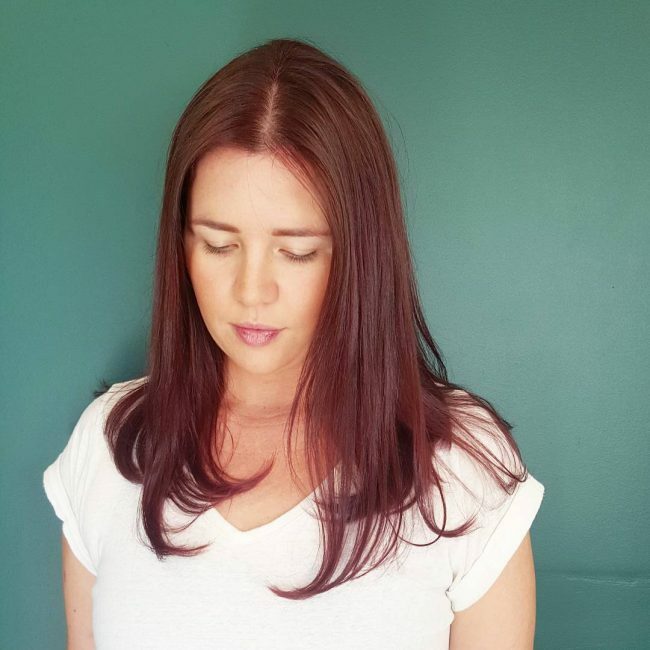 Here the lady paints it with a bright but muted burgundy shade to create a stunning and vivid hair color. 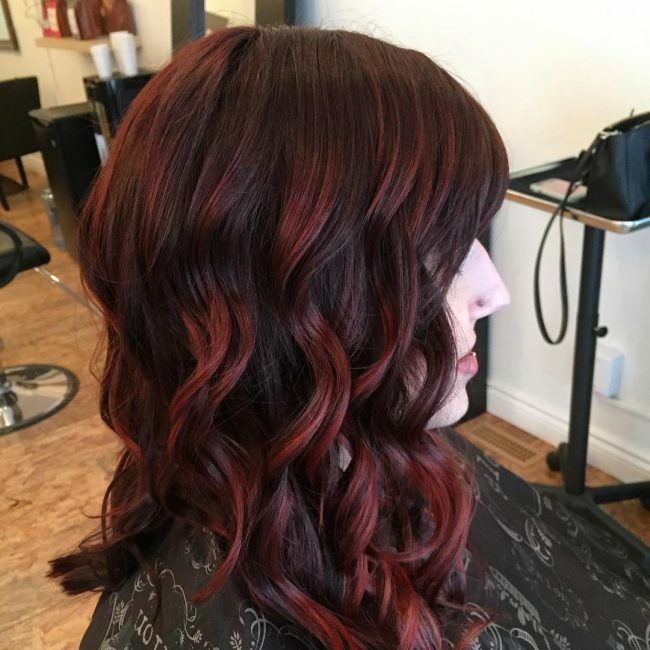 A vibrant hair color like this one will work well for any season, but it looks best for autumn. 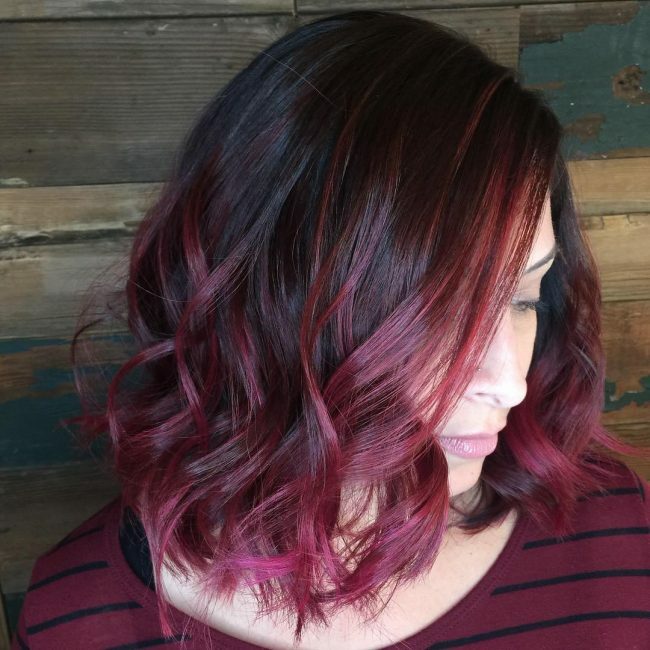 It is a balayage design that involves painting the brushed out curls with a melt of burgundy and maroon and in an ombre pattern. 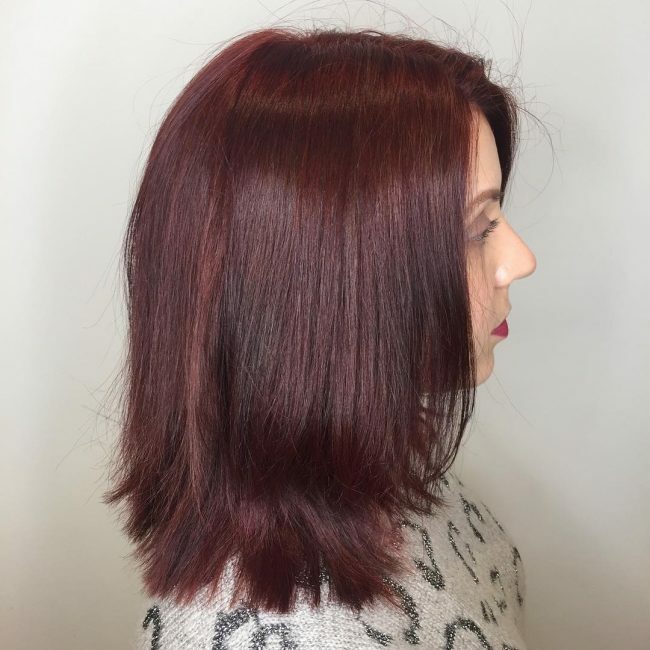 To create this perfect dark red hair, you will need to do a balayage color melt that mixes cherry and velvet red hues. Styling the long strands with a cute flower braid on the side and accessorizing with a lovely clip also helps to enhance the look. This beautiful hairstyle is about introducing some subtle highlights to the textured locks that also have some natural waves. 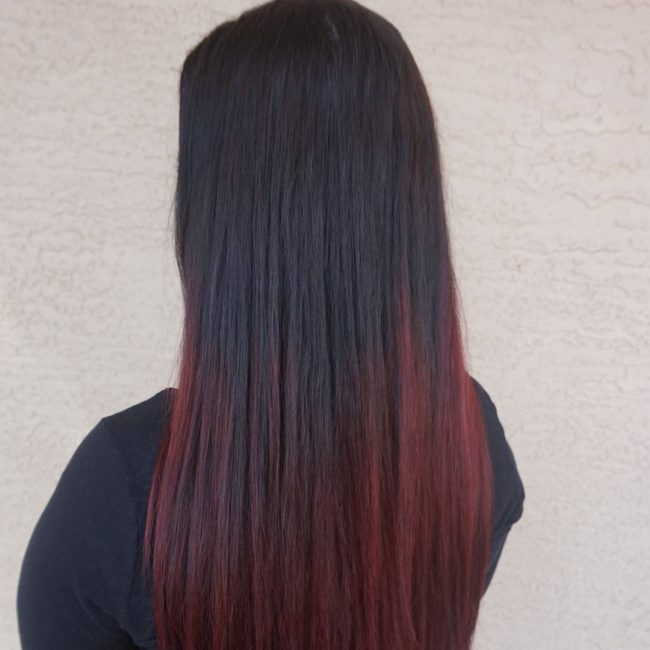 The streaks are from a burgundy hue, and they are uniform and throughout the hair. 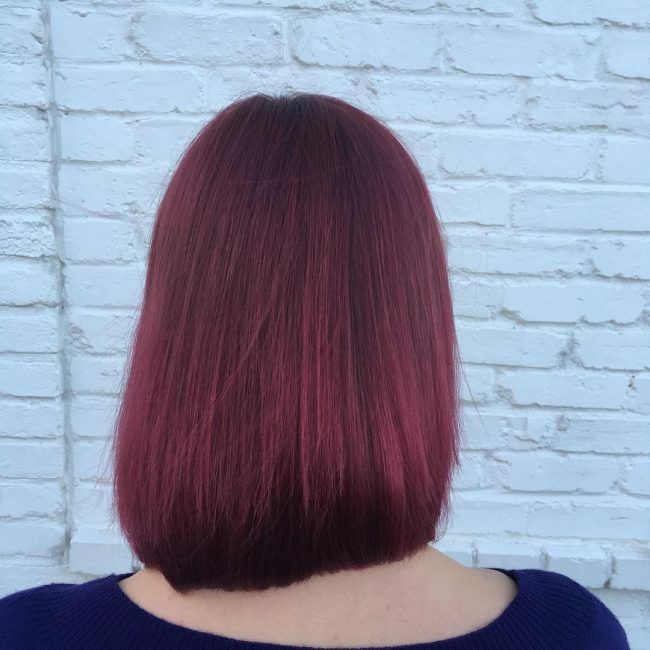 These fine and straights strands are in a long bob length and with a very adorable color design that entails blending dark red and violet hues and keeping the tips brighter than the rest of the hair. The original look of this hair is what most ladies will love. 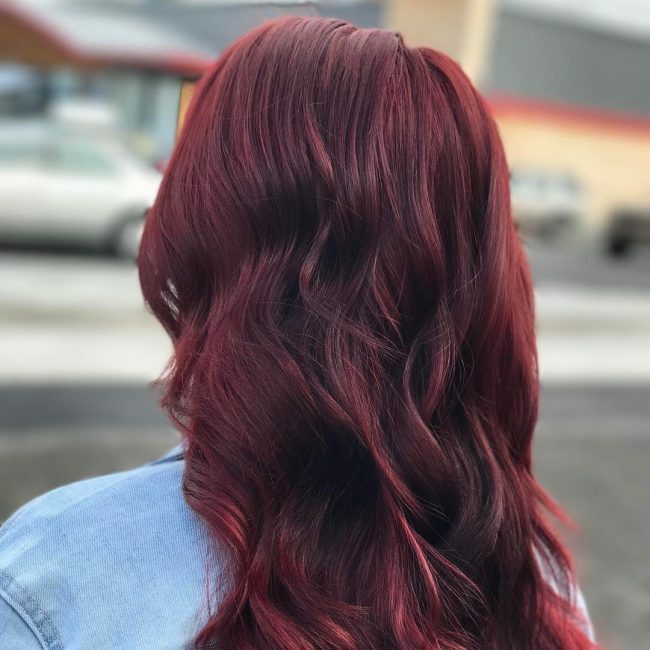 It is a result of a smooth blend of red hues that include burgundy and wine merlot, and the stylist uses balayage to keep the tone consistent. This glamorous hair is also a product of freehand painting. 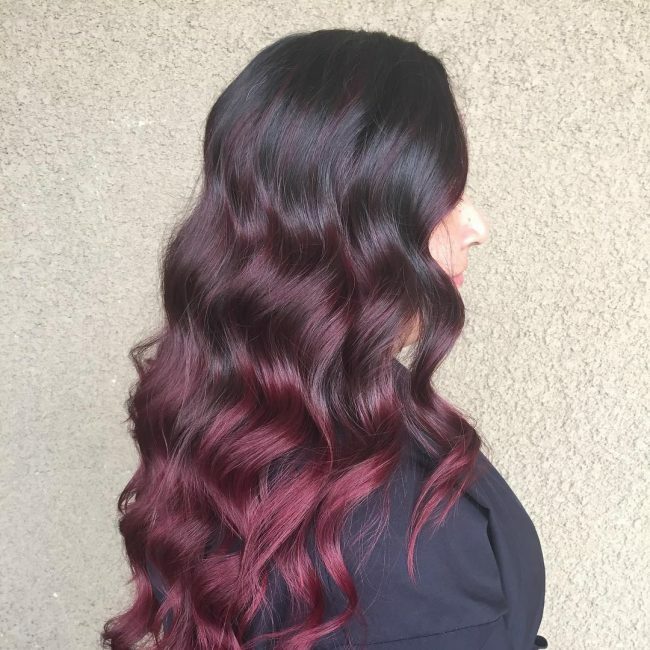 The design involves painting the long and textured strands with a dark burgundy shade and adding a unique element to the overall look by introducing a subtle purple tint. Although the bob cut in this headdress looks fabulous, the color is still the center of attractions. 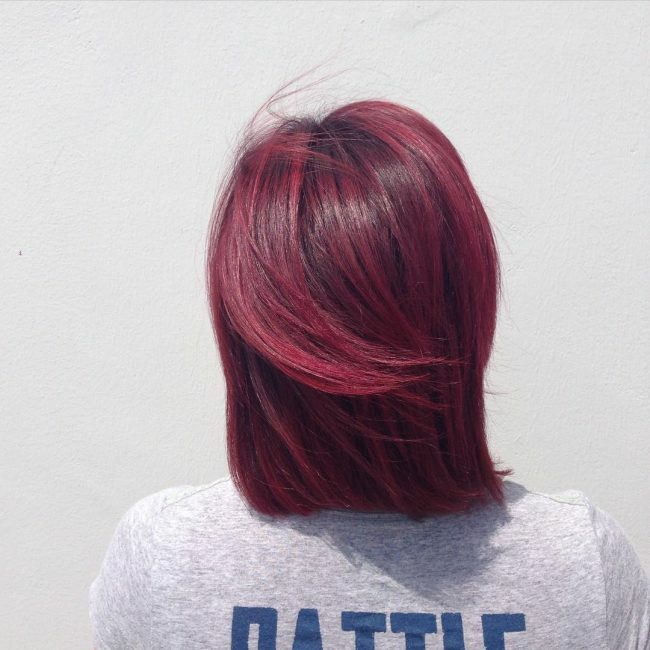 It is also a balayage color melt, and it entails painting the straights strands with a red-violet hue.